Workin’ on a new trailer. This week we have been working on a new trailer that we hope to release before too long. It will not only show the game in a further state of visual development than the previous trailer (which is two and a half years old now -- wow! ), it'll also show lots of scenes you probably haven't seen before. Ignore the debug text in the upper-right (including the frame rate; these were taken on a monitor that's locked at 30Hz; the game runs much faster on higher-end PCs.) Also, the actual trailer will be produced at much sharper image quality and higher resolution. These are just snippets of the non-final footage we are using to figure out the composition and flow of the trailer. OoooOOOOooooh! Cool. Thanks for the update! Looks so good! Can’t wait!! Now you just gotta make a new trailer every week till launch, spoil the ending in one of those trailers, make some insane promises, make a flashier website (with music and html 5 animations! ), cover Twitter and Facebook with ads, spend 60 million on live action ads that have only 10 seconds of real gameplay in a 60 second ad, file copyright claims on every video on YouTube containing the words “The” or “witness”, offer 6 different preorder incentives, write some ad-bots, do some twitch reveals with a live captive studio audience, hold some contests, launch a poorly moderated forum, Give away ps4s and ponies, delay the game for 6 months, make an advertising deal with Doritos, Mountain Dew, and Red Bull, before finally announcing the dlc season pass 2 months before launch. I simply adore the first screenshot. Just thinking about solving all these puzzles in such an enviroment makes me feel so happy. Are you planning to attach the releasedate to the trailer? I’m hyped beyond belief. Especially seeing shots from new areas! This can’t come any sooner. This just made my night. And that’s saying a lot, because I felt pretty freaking excited about that pizza I ordered just a minute ago (at midnight). Can’t wait to see the new trailer, thanks! For me the Mediæval Bæbes music you used in the last trailer was a perfect fit, will be interesting to see what the audio is this time. Also – 30Hz monitor, implies a 30Hz lock on console… For me that’s much preferable to unlocked but constantly varying. No, the 30Hz was just an artifact of the way we took these temporary videos. The frame rate of the game is unlocked on the PC, and on the PS4 we are aiming for a solid 60 everywhere at all times. It’s possible we might miss that in some more difficult conditions, we’ll see, but even if there are slight drops in some areas, it won’t be that kind of annoying varying-framerate experience you are talking about. In general I am not a fan of locking games to 30Hz. Ah okay sorry for making assumptions. Great to hear you’re aiming for 60! Good luck with the launch when it comes. Will you present the game on Tokio Game Show? The first screenshot looks absolutely amazing. The background depth is great, details are simple enough to understand them from the distance and connections between the treehouses seem to provide very interesting navigation. Looking forward excitedly to that trailer, not to say the full game! Been hanging on this page for quite a while. It is impressive how you won’t rush this one out. Quality takes time. In way too many AAA games we run into those little errors that throw us out of immersion. Super important to take the extra time. I can only imagine how tedious it is to be a game tester. 1. Step slightly right and go forward. 2. Make a note 3. Repeat 12,257 times. it might even be worse to be on the receiving end of the problem list. How many times must the developer think, “Didn’t we just fix that problem??? Thanks for the update, it looks awesome! Thanks for the update. I am looking forward to seeing the trailer. Wow, a sneak preview of the trailer. I feel quite privileged! First pic is awesome, thanks for the update! What are the yellow cubes in upper right of pics 1 & 3? Placeholders for textures or part of the mystery? That’s a laser cube, and those are your main objectives in The witness! If you look back through all the screen shots made through the years and you will see a lot more of them, plain as day. They are your main “go here” beacon for an area. There is one in each of the 11 biomes in the game. By the end of each of the 11 areas, there will be a laser connecting from the emitter box to the mountaintop. Usually you gotta solve quite a few puzzles to reach one of these boxes, and usually they will activate for completing every puzzle in an area. Other times you need to solve more puzzles to access a redirector to bounce a laser to the mountain top. Anyways, Connect 7 of them and you unlock the actual mountain for exploration (which is the endgame), but you also get a special surprise if you do all 11 before attempting the mountain top. Like the hidden stars in braid got you a longer ending. The witness itself has a ultimately simple underlying progression concept, it’s the puzzles themselves and the history of the island that are meant to be brain benders. Question… how do you know all of this really specific stuff? Number of biomes, laser boxes, numbers needed minimally to proceed to the mountain. Did you perhaps test the game or something? Everything that Dangerzone said is known actually. Trough interviews or through the blog. Nothing suprising on this end. I just would have liked it more if he had left him more in the dark. Exploration is so important in this game. A simple: “Its there for a reason” would have been enough. P.S. Yes oddkins I know most of what I know from following this blog and jon’s social media for the past few years now… Part of my job. Part of my job also let me play the witness at E3 a few years back… But my lips are sealed about what I saw when I got to play it personally. I had a very open and plesent conversation with Jon, he was very candid about the game taking a lot longer than he thought and I saw a bit of worry in him. I told him that he should Take as long as he needs because this game has the potential to unseat portal as #1 on many “top 10 original puzzle games of all time” lists, if he keeps it up. Lets say part of the mystery. You can observe there purpose in the first trailer thou. Following the development of this game has been such a rewarding experience. I’ve had my desktop backgrounds taken exclusively from this site for several years, and I bought a PS4 specifically to play The Witness. You inspire me, Mr. Blow. I await eagerly (but patiently) for this new trailer and any other news there is to share! Thanks for the update, guys and gals! I have so many great titles to play through right now, but I will drop all of them – yes, even MGS V – when I get my hands on The Witness. I get the feeling some big news is coming up on that front and I just can’t wait. 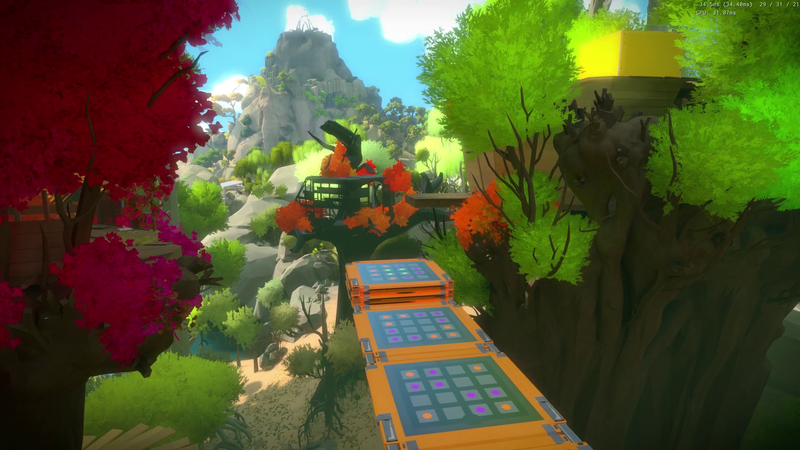 Of all the trailers that were shown before the PS4 was launched, The Witness had the most appeal to me. It has yet to be rivaled in my opinion, and while I eagerly await any news on this piece of art, I am not sure I will watch the trailer. I already know what I need to know, now I think I will just patiently wait until I can experience it. Thank you all for your meticulous and arguably insane attention to detail that you have crafted into this. 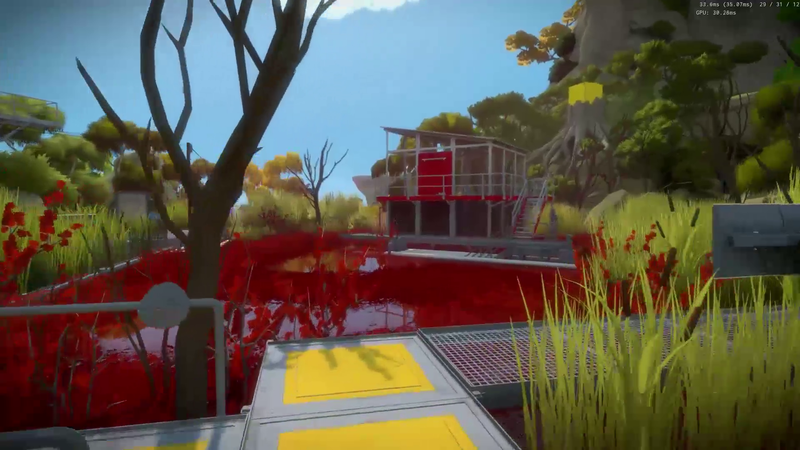 Will The Witness eventually come to the Xbox One? Oh lordy lawd. Its a real struggle against good and evil when I see these images and half of my body is trying to press my eyes through the screen and half is tearing me out the room so I keep it a fresh experience when playtime happens. I have decided that I shall stare at a wall until release. I wonder if the new trailer will reveal the release date. I don’t think I’ll watch the trailer. I’ve seen more than enough about The Witness to know it’s a day-one purchase for me. But I’d be really interested to know the release date. Hopefully it won’t be 6 months away. That was pretty hard to stomach in the case of MGSV. Oh well, great things usually take time, of course. I tell myself that I won’t be watching the trailer, but I know myself too well to believe me. After a protracted development it looks like it might be out of the woods soon. I’m guessing it’ll be out Q1 2016, but I don’t care. I’ll be picking it up whenever it does. You’re doing a great job guys! Thanks for keeping us in the know. I’ve enjoyed reading about the different parts of the game development process and how it all comes together. I’ve loved all of your music choices so far, so I’m excited to see what you’ll use for Trailer 2. Am I getting too exited if I assume this will be a bit of a launch trailer? Nonetheless I’m really looking forward to the trailer. Most of all since afterwards I probably still won’t know how I will be experiencing the game. I’ll just see more of the wonderful artwork. I’ve been waiting for this game for so long I hope it has full controller support. Will there be an hour long Character Customization screen that is only used as a joke and will never be used in game, ever? This is not Little Inferno. 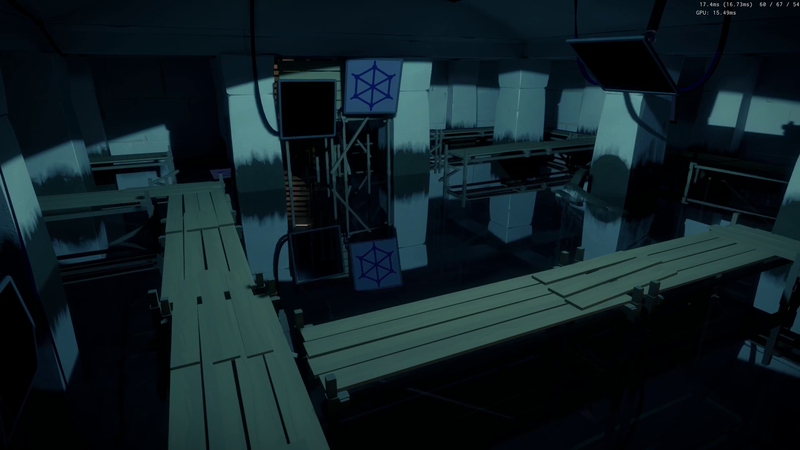 The Witness is no satire game. I had no idea the game was actually THAT close to being finished! Can you link a tweet or source? ESRB and PEGI is very different than Sony or Microsoft certification so it could be a while out. It’s definitely getting close though. It takes about six weeks to release from console certification and that could be months out. That is for a physical release. I’ve forgotten whether it will be digital only or not. Full digital release. No Retail Version for the Witness. Will The Witness have full support for the Oculus Rift at launch? Will the trailer be shown at the tokyo game show next tuesday? Will you make a free demo of the game like there was for braid? Full week of playstation VR announcements next week in Tokyo, coincidence on release date timing? It’s for tomorow! San francisco time I guess. Hope you’ll get a nice press coverage. Can you fall off the side of elevated walkways (like in the second image in the post, for example) or will there be invisible barriers? Will any of the content in this game be something you can miss “forever” if you do one thing before another (in the vain of the puzzle piece golden star in Braid), thus requiring a restart to see everything?